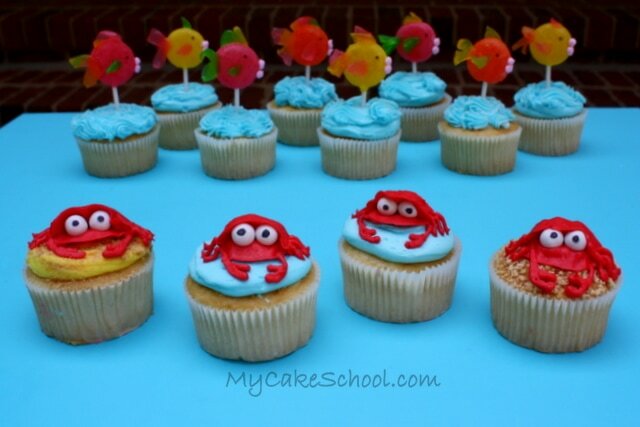 Today I’m going to show you how to make adorable beach cupcakes, featuring brightly colored Lollipop Fish Cupcake Toppers and funny Buttercream Crabs! I love how quick and easy these colorful designs are. 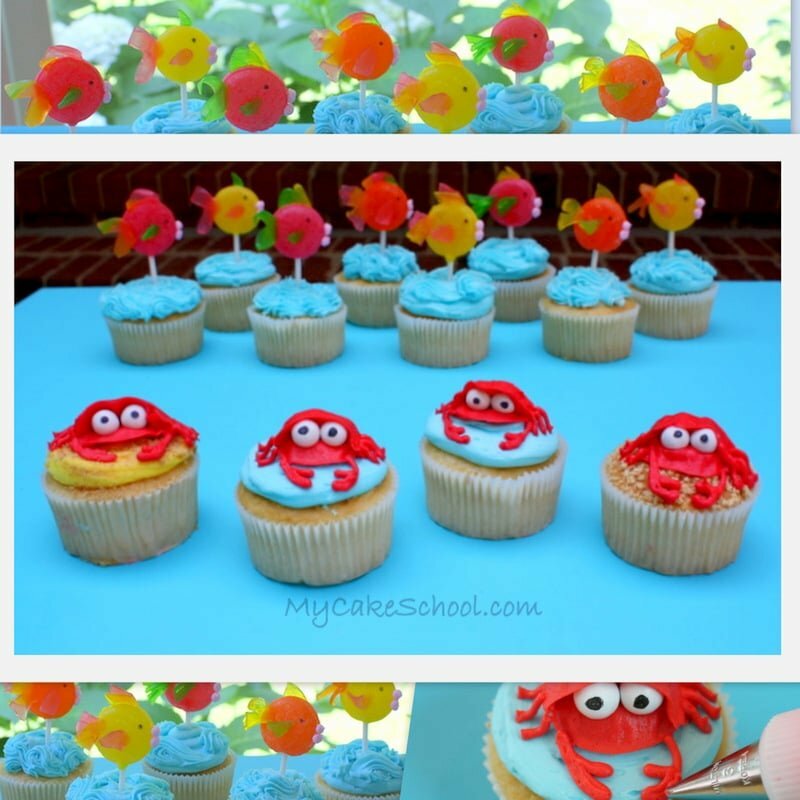 These cupcakes would be perfect for pool parties and beach themed parties, or just because! First, let’s make some buttercream crabs. I used our Classic Vanilla Buttercream Frosting Recipe for this project. 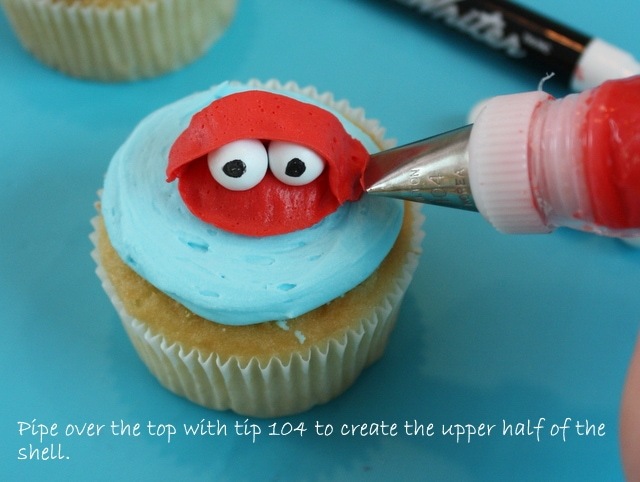 My blue buttercream frosting is piped on with a simple round tip 12. 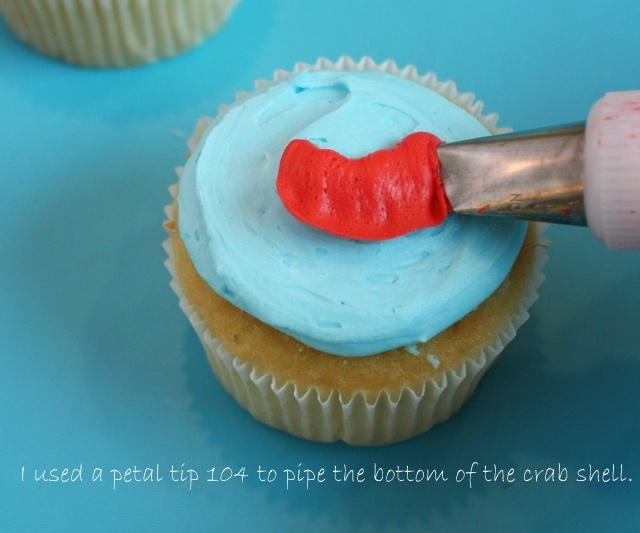 For the crab’s body, I used a Wilton petal tip 104. You may be able to see in the photo that the small end of the teardrop shaped opening is facing me. The opening of the piping tip should be parallel to the surface of the cake. 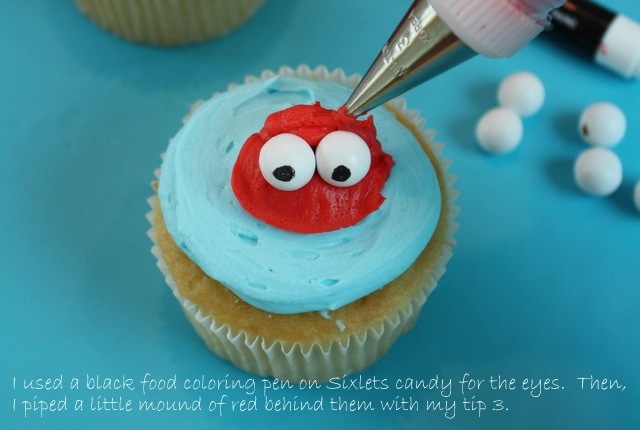 I drew little black dots onto the white candies with a black food coloring pen to give a funny google eyed effect, and then piped a little ridge of red buttercream with a small Wilton tip 3 to help them stay in place. Next our crabby needs some little crab legs and claws. Pipe these on with a small round tip (Wilton tip 3 or similar). That’s all there is to it! 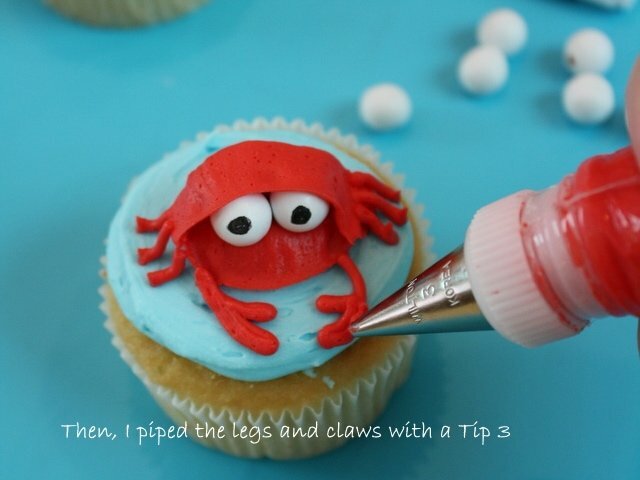 I much prefer this cute frosting crab to the little crabbies I see running around at the beach. And here’s the whole crabby cupcake crew…. aren’t they funny? I like how each one looks a little different- who knew that google eyes could be so expressive?! 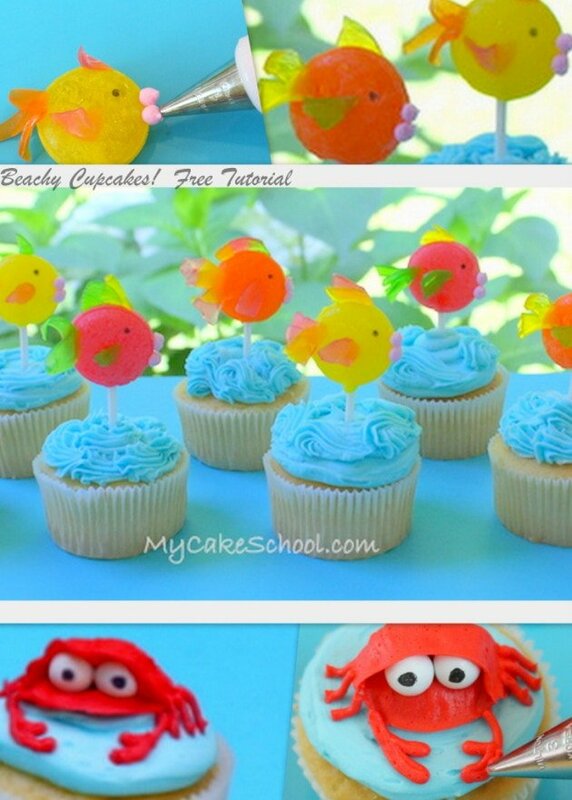 Next, we’re onto the school of fish—-a very special variety of lollipop fish for our cupcakes! I used flat round lollipops and Dots candy for this project. Any lollipop would actually work for these cute cupcake toppers–but I really had my mind set on the flat round ones. We tracked down a bag at a party supply store (Party City) after looking with no luck at grocery stores (how dare they not carry these lollipops!) So be warned…you may have to go with a different variety of lollipop fish. 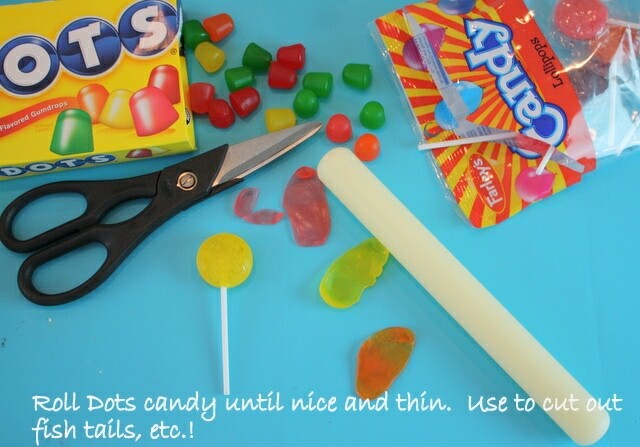 Next, cut out your thinly rolled fish tails and fins and press directly onto their lollipop bodies. They are just tacky enough that they stay in place with no piping gel or light corn syrup “glue” required. We drew on little eyes with our food coloring pen. Next, pipe little buttercream fish lips on with a small round piping tip (we used a Wilton 4). And here they are! 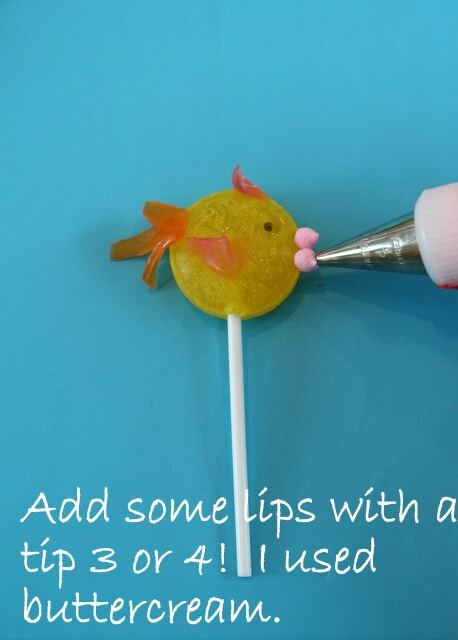 I think these lollipop fish cupcake toppers came out so cute, and the more colorful the combinations, the better! I pushed these right into our cupcakes which have been frosted with buttercream shells and swirls. We hope that you enjoyed this fun beach cupcake tutorial! If you give it a try, we’d love to hear all about it! **Ready for more beach and summertime cuteness? 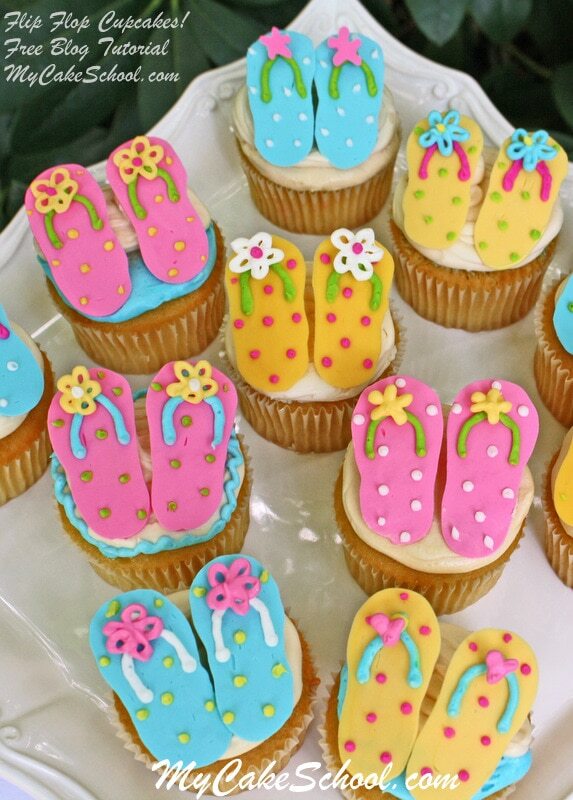 You may like our Flip Flop Cupcake Tutorial! Hi, The crab is great. Do you mind sharing how you got the red/orange color? 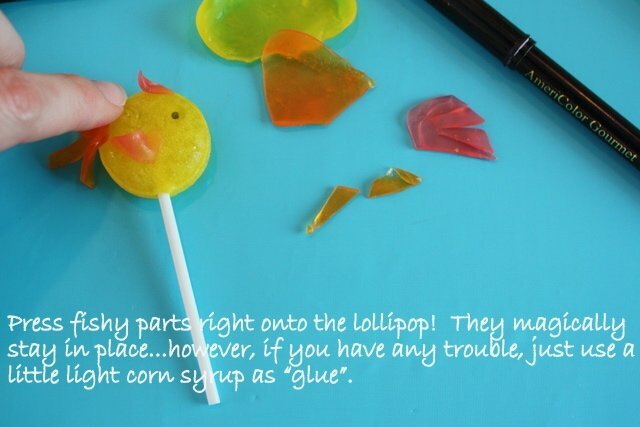 What type food coloring, please?